The fabulous plant is one of the most attractive houseplants because it is exotic looking and effortless to grow. 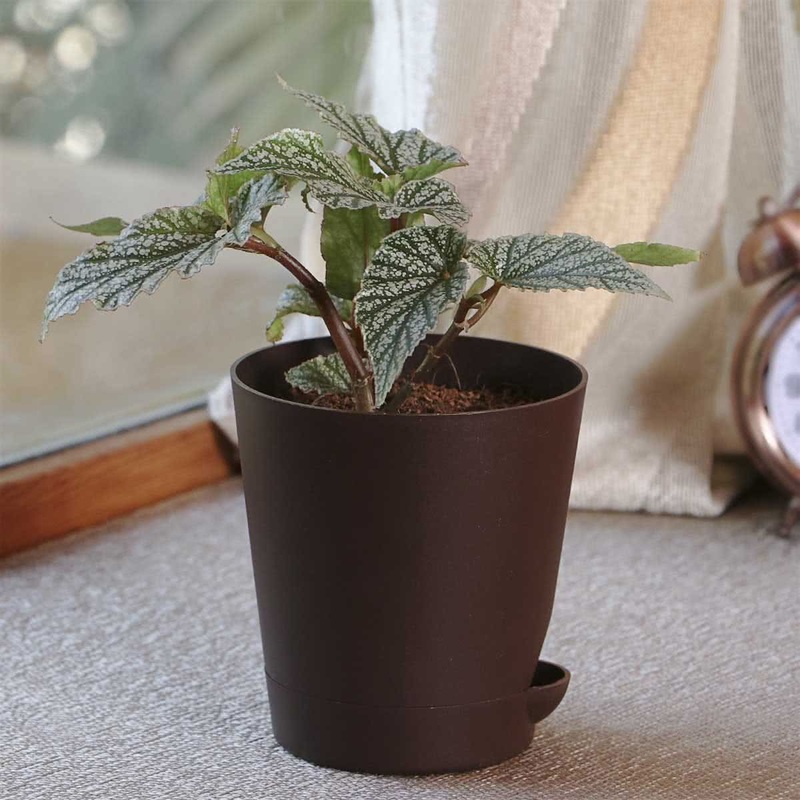 Rex begonia is perfect for desks and tabletops. 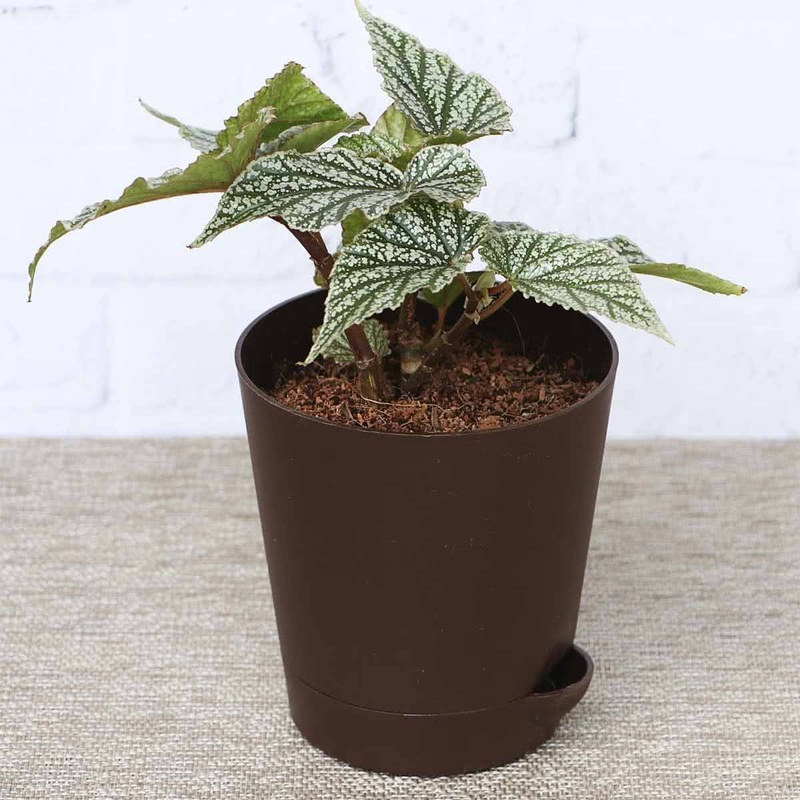 Dress up your Rex begonia by growing it in a container that goes well with its colorful foliage, i.e., purple, pink, red, silver, or black. 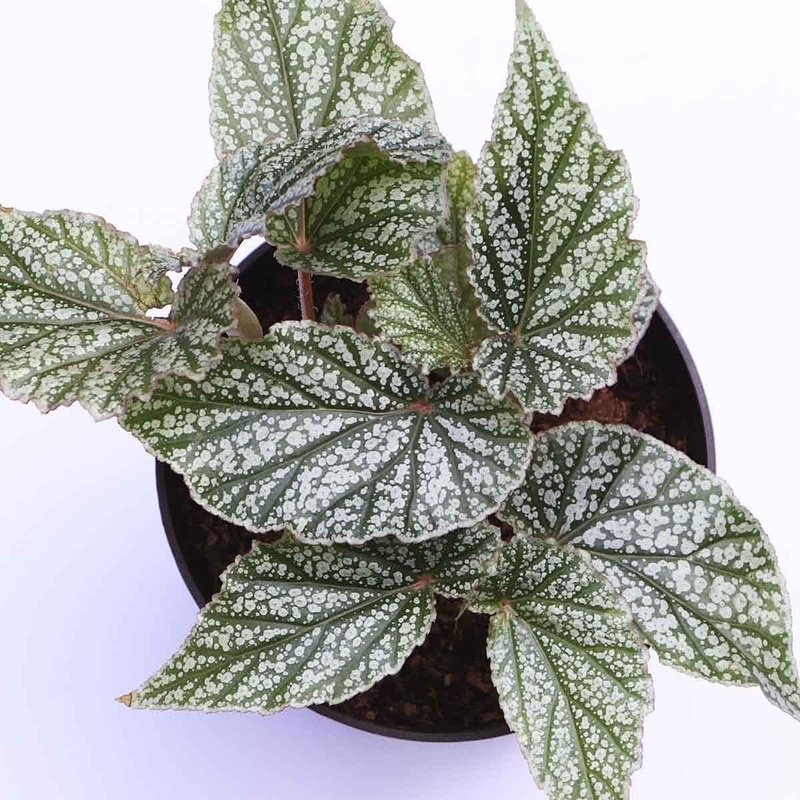 Attractive foliacious plant with beautiful silverfish-green leaves with dark red veins and center. Delivery very quickly and look very healthy plant. Pleased with purchase, would definitely buy from here again. Got to me in extremely good health with large leaves. They are slightly less uniformly 'silver' than the image would suggest but still very beautiful.